It's time to get those special gifts and spread the love and cheer to the world. It's time to be Merry and jolly without the stress. It's time to get your plan together for this year's shopping spree. Wait a minute, you don't have to be in those long, tedious lines waiting hours to get that new gadget. You don't have to push and shove, getting up early in the morning to go out in the cold searching for the latest technology. With today's technology, You can come across magnificent holiday sales from the comfort of your own home. That's a great benefit of electronic devices. Why not stay in your PJ's and let the kids sleep in; meanwhile, you browse through some great deals for the holiday. All you need is a little time and a comfortable place to sit. A bonus is it saves you gas also, by getting it delivered to your house. Let's make it a little easier by viewing some of these online deals I have seen. See if any catches your eye and can save you time and money. Happy shopping. 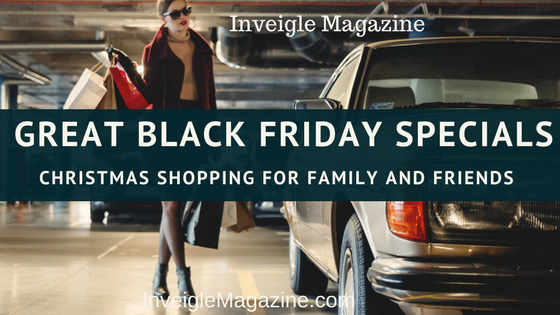 I hope you find something that can help make shopping for the holiday easier for you. It's time to get them games ready to play for Christmas morning. Try some of these ideas to help you get Christmas ready for your love ones.